David Gemmell Legend Award Shortlisting: ‘Still Ongoing’, Plus Even More Coming Up! A Supernatural Underground Giveaway — Plus More Happening Here & Elsewhere! The Christchurch Writers’ Festival Programme Is Out Today! The Blog Tour Keeps Rolling—I Stop In With The Mighty Mur Lafferty! UK Release Day Giveaway Result Announced! UK Release Day Done: But The Blog Tour Rolls On! It’s Copyedit Time—Over Halfway There! “Completed To Date”—aka It’s Copyedit Time! Dance, Dance, Dance: ConText Officially Rolling! NZ Book Month, Here I Come! 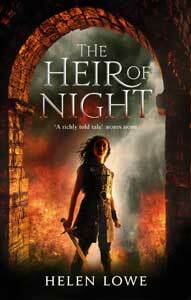 1-1-’11: And I’ve Finished The Wall of Night, Book Two! The Gathering of the Lost: Part 2—Done!